I had a doctor's appointment today and didn't want to show up without a book and disappoint him. He happens to be one of the doctors responsible for making sure I can still read. Today was my last visit for six months. I took along a couple of books with me. As I prepared to leave the house the mailman left a gift for me, Queen Vernita Visits the Blue Ice Mountains. I had taken along the fourth book in the 39 Clues series - Beyond the Grave. I had plenty of time to read both. Here are my reviews. This was an absolutely fabulous book. It was 36 pages of beautiful and bright pictures. 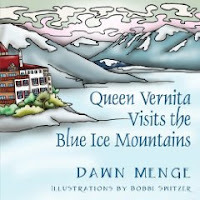 Queen Vernita decides to visit the Blue Ice Mountains. She sends out invitations to twelve of her friends. Each month her friend arrives and they do something special together. The reader learns through this book how many days are in each month. They also learn the days of the week as that is a repeated part of this book. I think the thing I really enjoyed is they way they are taught about things such as seals, bears and flowers without knowing they are being taught. Although I teach middle school, this will be a great addition to my ESOL book box. These topics are the very ones that I teach about in my lessons. Bobbi Switzer is the illustrator. 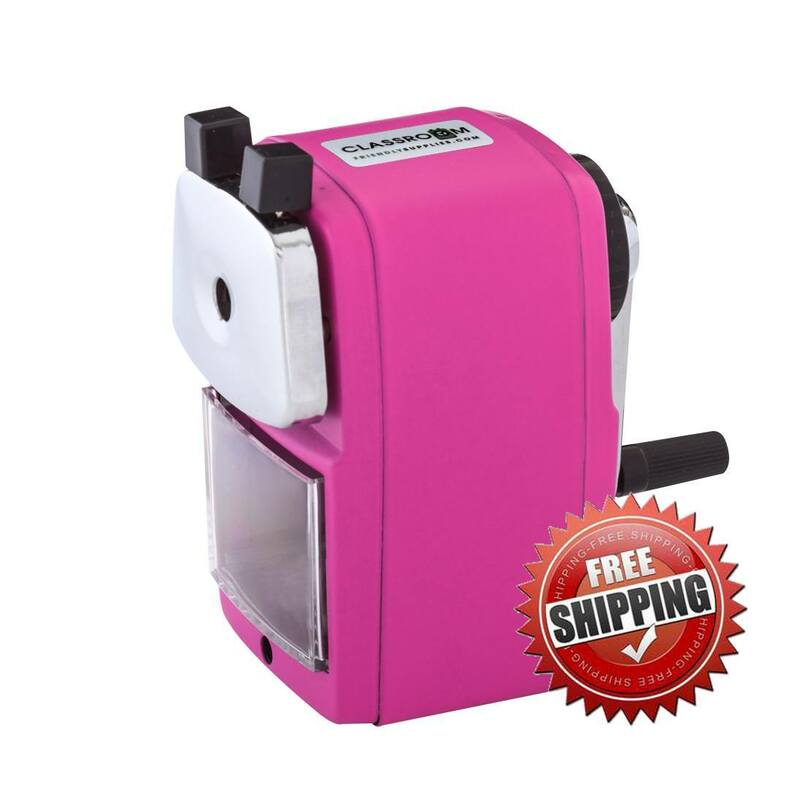 The pictures are bright and charming and leave you feeling like you have been on a wonderful outing. I give this a rating of 5 out of 5. This one was actually chosen for the Random Reading Challenge. I know I signed up for 12 books, but for me that always mean minimum. I didn't feel like reading one for one of the other challenges today. I needed not restrictions. Therefore number 19 of my books was this one. 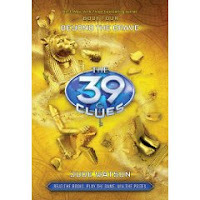 Dan and Amy Cahill are still on the hunt for the 39 clues. They have faced one betrayal after another. Now they have reason to suspect that their grandmother was as evil as the other’s in their extended family. They and their au pair Nellie are headed to Egypt to try to find the next clue in the hunt. Here they find that friends aren’t what they think and enemies might not be total enemies. I personally enjoy these mysteries. I wish they were all out at once so I could go from one to the next. I will have spaced them out so far that I will need to go back and read the first through the last at one time. This was a little more difficult to figure out the clues. Jude Watson did a great job of bringing the culture of Egypt to life for the reader. Nellie once again surprised me. She started out in the first book a little bit ditzy. I now believe that that was what we were led to believe and she will continue to play a greater role in each book to follow. I Can’t wait to read the next book which I should have in a couple of weeks. I gave this book a 4 out of 5 as I found some of the twists and turns to be a little bit confusing. Still I would recommend this book.